Round tubers that are rated as medium to late maturity. 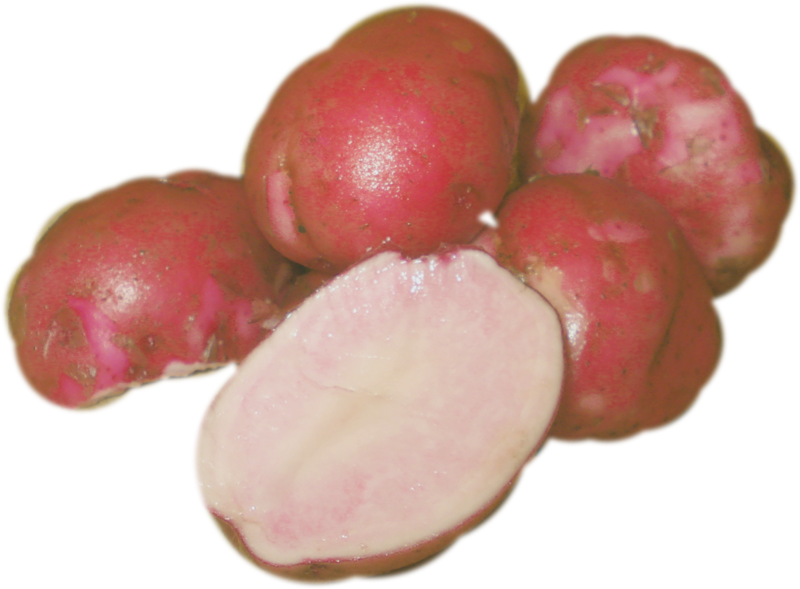 This potato has a good yield with red skinned and distinctive red flesh tubers that maintain their color after cooking. It has an excellent flavor and a moist texture.